It can be tough being a teenager. Although in many ways they are more connected than when I was a teen with most of today's youngsters being contactable 24/7 through a variety of media, many young people seem to struggle with "real world" relationships and appear to have lost any sense of community beyond their peers. I was brought up in an era where a sense of duty was ingrained. People in my family and community still remembered at first hand WWII and the idea that if people didn't do their bit, the whole country would suffer was still very much at the forefront of their minds. It was a powerful message that filtered down to me. 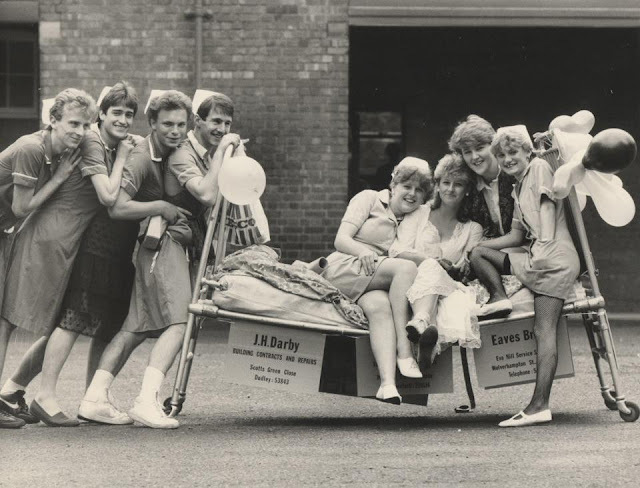 Can you spot me in this picture of a charity bed-push I did with sixth-form schoolfriends in the 1980's? Today the last world war is a few more generations ago, memories of a time when we had to pull together are fading and the British Blitz spirit seems to be disappearing. People today don't seem so willing to muck in, volunteer, offer help, especially when that help has to be offered without recompense and frequently it has to be done for people who might be perceived as "different." It's worrying that our nation seems to becoming ever more divided and more and more people are rejecting community spirit in favour of selfish suspicion. But someone still has to be on the PTA, be a governor, stand as a parish councillor, volunteer as a scout leader, organise the litter pick, hold that fundraiser for a charity, organisation or person. People have told me I'm on too many committees, do too much "free" work and I should learn to say No. But I always answer -if not me then who? What kind of example am I setting my children if I sit back and hope someone else will put their hand up and volunteer? It seems people don't feel the need to give anything back. I'm sure I'm not alone in wondering how in the future, schools, charities and communities will cope without a fresh supply of willing (or even slightly unwilling) volunteers. People work hard, I get that. I'm a mother of 7 with a chronic pain/fatigue condition running my own business so I know all about hard work yet I still find time to run a stall at our village fete and sit on a number of committees. I can't say it's always fun and I often groan at the prospect of an evening meeting but without today's adults stepping forward, how can we expect tomorrow's adults to help? Thankfully we now have the National Citizen Service (NCS) which is a government backed programme established in 2011 to help build a more cohesive, mobile and engaged society. By bringing together young people from different backgrounds for a unique shared experience, NCS aims to help them to become better individuals, and in turn better citizens. I hadn't heard of NCS until 2013 when my son was told about the scheme at school. He came home and told me he'd like to do it. I'll admit at first I was suspicious. It sounded too good to be true. We got a bursary so I only had to pay £20. My son went along to our local Connexions centre in Hemel Hempstead where his programme was based. He joined a mix of people, some with additional needs and some without, and from the start it was great to see them all being encouraged to work together and support each other without it being in the slightest bit patronising. Picking him up from the first group session it was great to see all the teens working in teams aiming to create the tallest tower out of paper and tape. My son was proud to have come up with a strategy which led his team to victory. He attended group sessions once a week during the holidays and worked with his team on a community project of their own choice. His team decided to work towards providing an emergency defibrillator locally. They held a bake sale to raise money which they donated to a charity supplying the equipment. They researched the cause, made a video to promote the charity in schools and created pamphlets about why the community would benefit from having an emergency defibrillator. At his residential stay he did lots of outdoors stuff like sailing, climbing, swimming, team games, and cycling and he came home worn out but much more confident about spending time with new people than he had been previously. During all his sessions there was support staff on hand making sure everyone was happy, involved and understood what they could achieve personally and as a group. At the end my son and his new friends received a certificate at a celebration ceremony to mark their hard work and achievements. My son says he was glad he did it. He feels it was particularly useful for him to meet new people from different backgrounds after coming from a very small primary school and a secondary in a frankly privileged area. It was ideal as it was just before he went off to university and the skills he learned from NCS gave him more confidence about that big life step. I feel he benefitted from the teamwork. He's academically gifted but sometimes struggled to work with other people. Learning to be tolerant of the different abilities in a team and understand that everyone has skills to offer was a great life lesson for him. My daughter, aged 17, is planning to enrol for this summer. We have plans for couple of getaways and she has work commitments but luckily we know that NCS will do their utmost to get teens a spot on a programme at a time that suits. 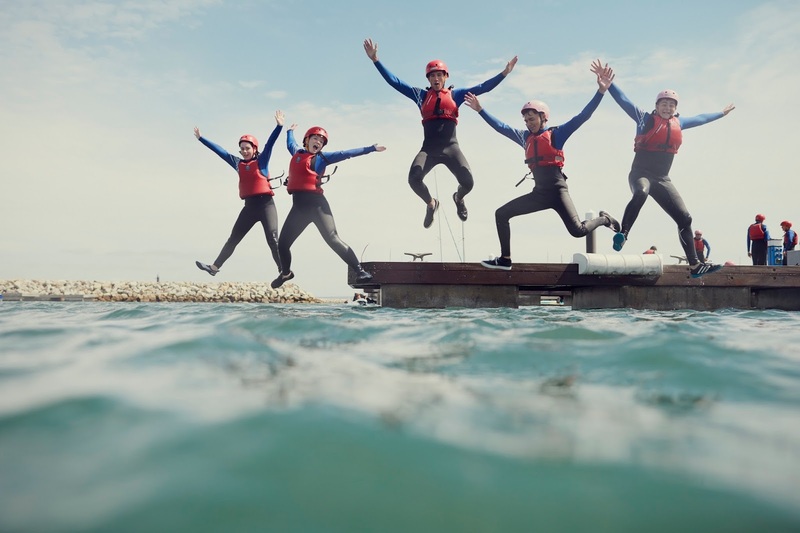 You can register your Year 11 teen now even if you don't know your plans for the summer yet - there's an easy link at the bottom of this post but please read on to find out more about why NCS is so awesome. 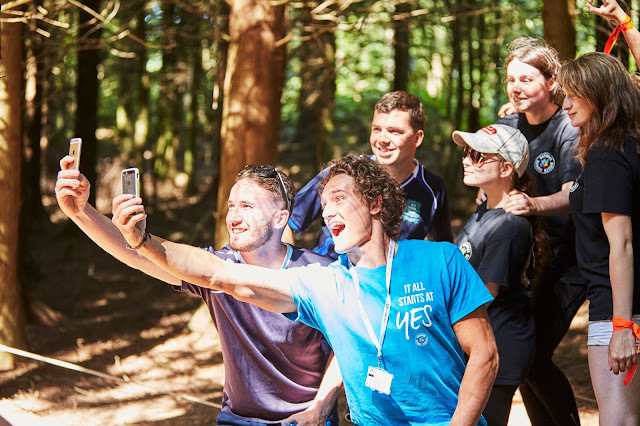 To date almost 400,000 young people have taken part, more than seven million hours of community action have been completed and for every £1 spent, NCS’ 2016 summer programme delivered between £1.15 and £2.42 of benefits back to society. 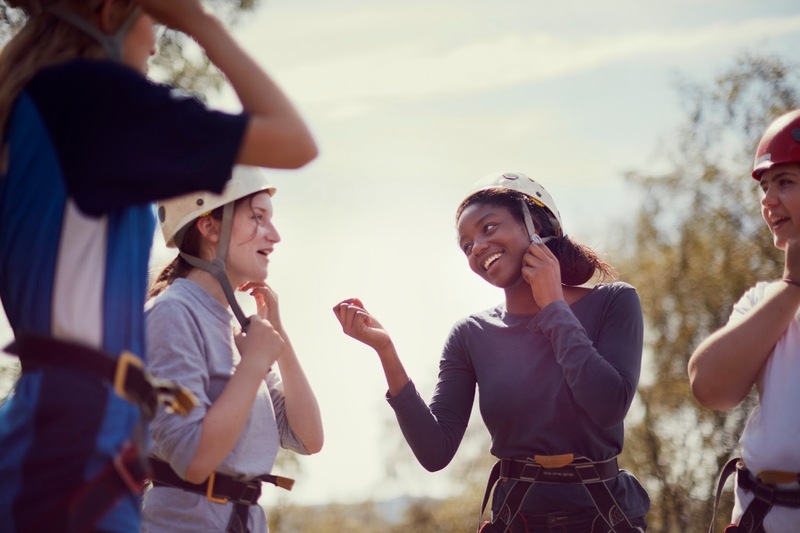 This year more than 100,000 teenagers from different backgrounds will come together in common purpose on NCS. My hope is that those teens will go on to be the backbone of our society in years to come, carrying the baton on to continue to make Britain great in more than name. There are still places available for Year 11s to take part in this once in a lifetime opportunity this summer. To learn more, register or sign up now, CLICK HERE to go to the NCS website.